Homeowners willing to buy a sophisticated home in Bangalore can have a look at property in Cooke Town Bangalore. The reputed developers have come up with elegantly designed residential complexes in the area, with luxurious amenities for the residents. In case you are willing to get an apartment in Bangalore, you can make your investment now. The social infrastructure in the city is well-developed. The important schools in the region include St. Joseph's Boys High School, National Public School, Bishop Cotton Girls' School, Bishop Cotton Boys’ School, Bangalore International School, Presidency School, and Jain Heritage School. One of the key reasons for the high demand for the residential apartments in Cooke Town Bangalore is the location advantage of the area. The residential complexes come with a wide range of amenities for the residents. For investors and homeowners willing to buy2 BHK flats in Cooke Town Bangalore, this is the right time to make your investment. 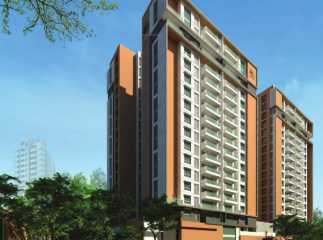 Enjoy the classy apartments in Bangalore, close to the commercial areas. This is the right time to buy the apartments.